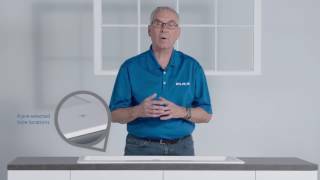 Elkay molded ingenuity, inspiration, and care into the ELG1616SL0 to create a state-of-the-art product that will fit your needs, and endure the roughest daily situations, while still remaining as the highlight in your kitchen. 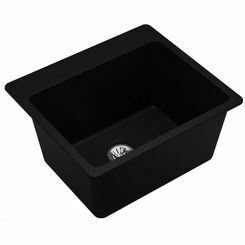 With its striking UV-stable slate finish, this ELG1616SL0 classic bar sink can complement many styles and fixtures with the same color yet resists the wear of time. 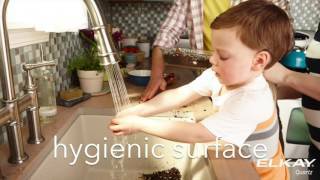 It’s constructed of an extremely durable material made of 80% natural quartz and non-porous acrylic resins that, when combined, create a sink that can endure the daily rough and heavy usage of a busy kitchen, and has the added benefit of natural sound-deadening properties as well. 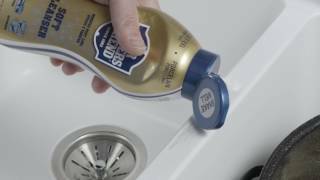 Food and liquid won’t stick as readily as on other types of sinks, helping to stop bacteria in its tracks. The sink has a single bowl and a convenient design that allows you the ability to install it from the top or as an undermount sink. Whichever your desired application happens to be. 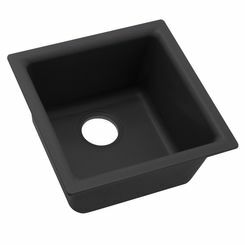 The Elkay ELG1616SL0 quartz sink has a 3-1/2” rear center drain. It requires a 21” cabinet at the minimum. 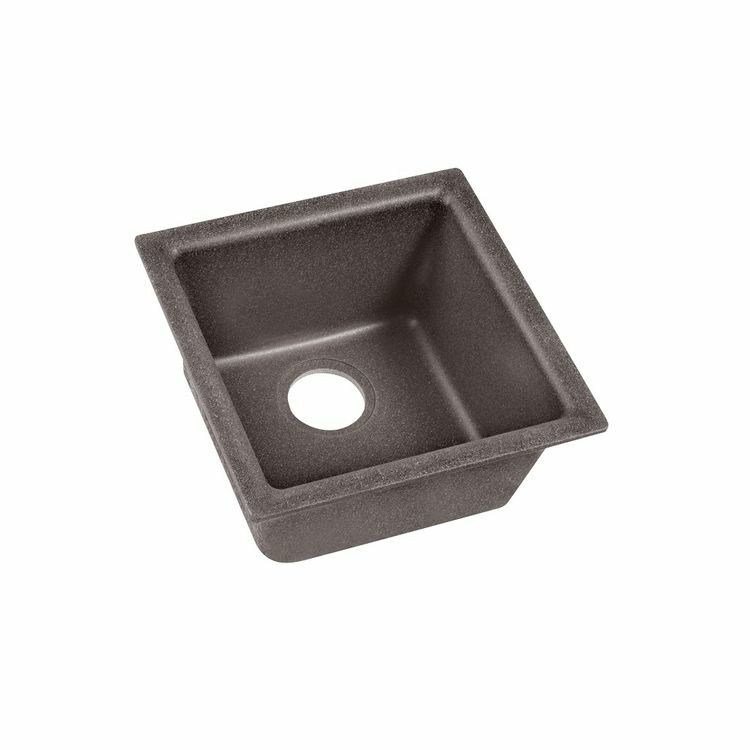 This sink is a 15-3/4” sized square and 7-11/16” deep overall. 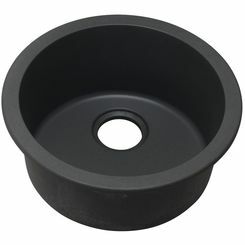 Its bowl is 13-1/8” in size and 7-11/16” deep. 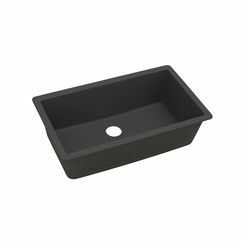 The sink is available in 11 other colors: Black (BL), Bisque (BQ), Black Shale (BS), Dusk Gray (GY), Greige (GR), Greystone (GS), Mocha (MC), Pecan (PC), Putty (PT), Sand (SD), and White (WH). For further efficiency, you can also order these accessories: the Elkay LKOBG1616SS bottom grid, the Elkay LKQS35, Elkay LKQD35 and Elkay LK99 drains, the Elkay LKHA4032, Elkay LKGT3032 and Elkay LKGT2042 faucets, the Elkay LKWRB1209SS rinsing basket, and the Elkay LKGT1054 soap dispenser (order separately). 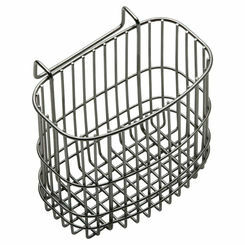 This Elkay ELG1616SL0 bar sink enjoys a Lifetime Warranty. 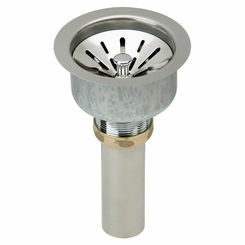 You can get it at an affordable price here at Plumbersstock.com! 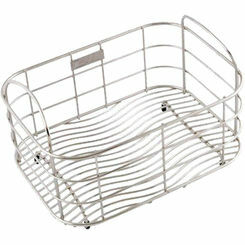 Shipping Dimensions 20.0" x 20.0" x 10.0"
Shipping Dimensional Weight 22.75 lbs.